May 13, 2016 — It’s time for me to tidy up my “Odd Things I’ve Seen But Haven’t Written About Yet” list. 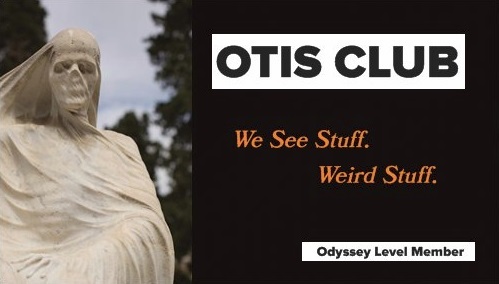 Like its title, it’s very long, and I’m afraid I’m not getting to the end of it before I die or retire OTIS, whichever comes first. So let’s do another OTIS Miscellany post and knock out seven at one go, shall we? I’m not saying I couldn’t write 1,000 words about each one of these sites. Just that you probably wouldn’t want to read them. 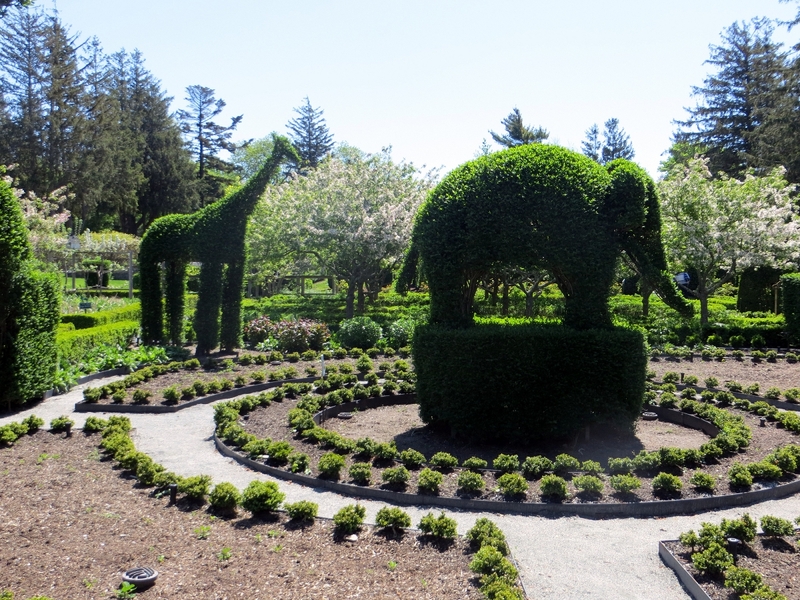 Green Animals Topiary Garden (Portsmouth, Rhode Island): You never hear the phrase “bush-shaped,” and that’s because it’s a boring shape. 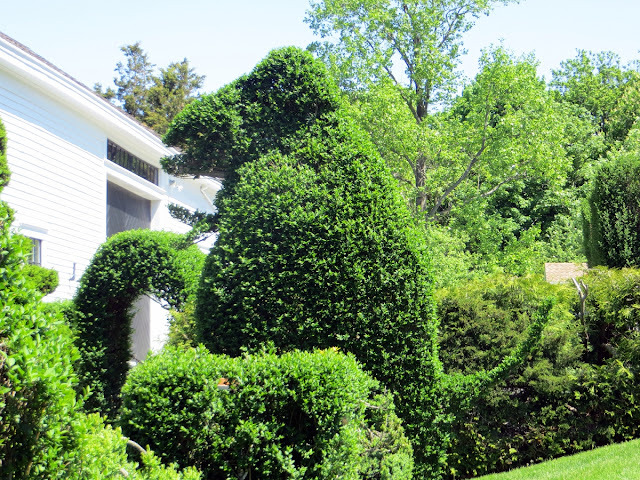 So skilled people deft with hedge trimmers correct nature’s aesthetic oversight by sculpting bushes into other shapes and calling it topiary. Green Animals, an estate in Portsmouth, Rhode Island, has been making living things look fake since the early 20th century. If you hit in the in the right season, you can see a zoo full of green, leafy bears, elephants, and giraffes. Or a T-Rex. 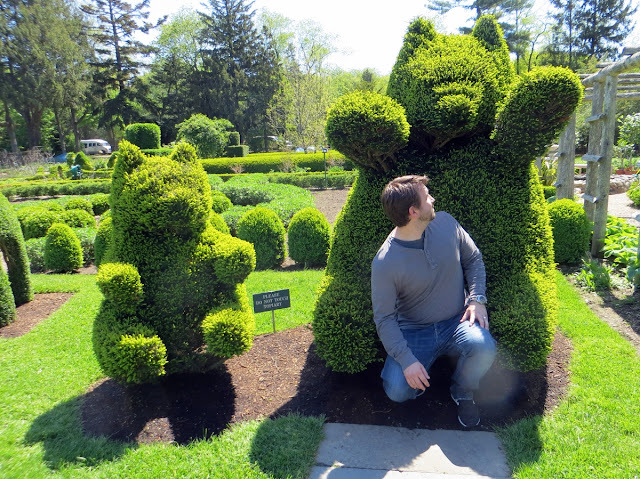 Oh, and just in case you're thinking it, the word “bushy” doesn’t refer to shape. 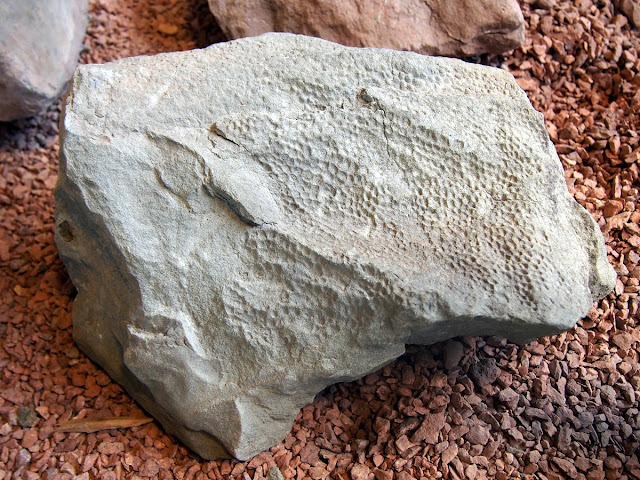 Queen Esther's Bloody Rock (Wyoming, Pennsylvania): This visit was a recent one for me. And a quick one. 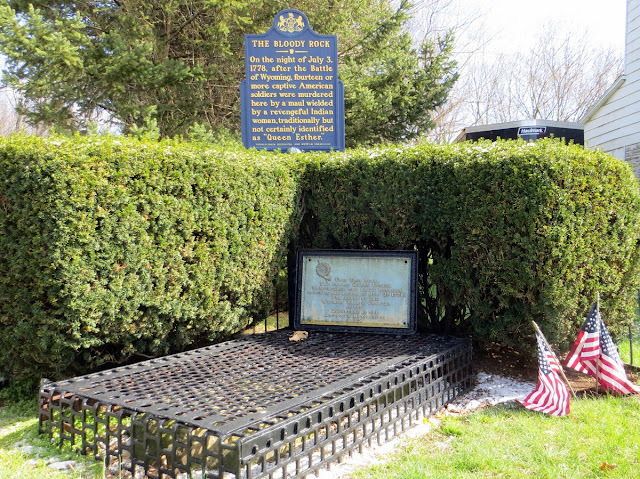 It’s just a slab of rock with a macabre name protected by an iron cage on a residential street in northeastern Pennsylvania. The historical sign above it tells the story of a Native American woman known as Queen Esther who killed 14 Revolutionary War prisoners on this rock with a giant hammer after the Battle of Wyoming in July 1778. The story is elaborated upon online, where she’s also identified as Esther Montour. The act was apparently one of vengeance for the death of her son during the battle. Right. Despite all her rage, she still has a rock in a cage. 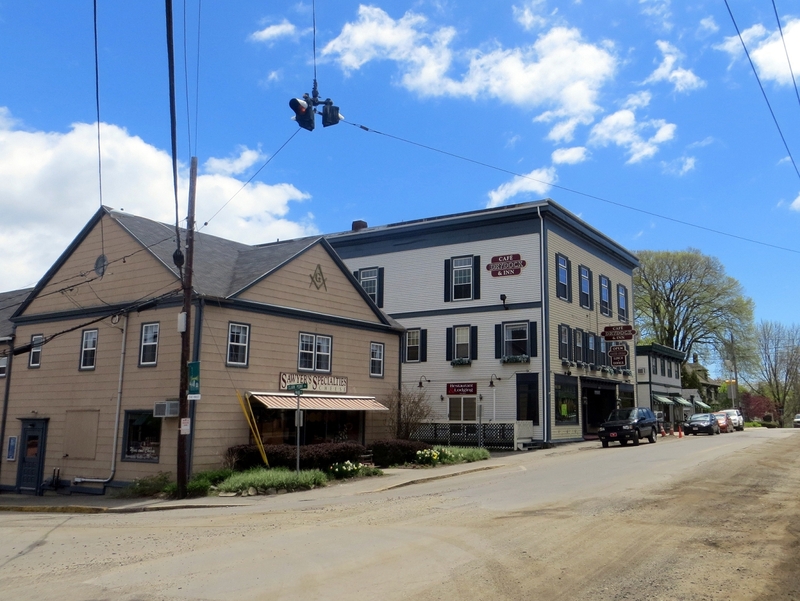 Storm of the Century Town (Southwest Harbor, Maine): Born in sin? Come on in. Steven King’s 1999 Storm of the Century miniseries is one of the rare King productions about which you can’t say you liked the novel better because there is no novel. He wrote it as a miniseries. The story centers on the hardy residents of the fictitious Little Tall Island in the semi-fictitious state of Maine. They’re cut off from the mainland by a massive snowstorm and are then hunted by a demonic man in a knit cap named Andre Linoge. I’ve always liked the miniseries format in general, and what I dig about this one has nothing really to do with the story and everything to do with its ambiance. The place feels so completely cut off by the snowstorm, that it makes me want to turn on the fireplace, burrow under covers, and drink hot liquor…even if the snow in the show is fake, as is obvious by the way it snags strangely to coats and stains them white. 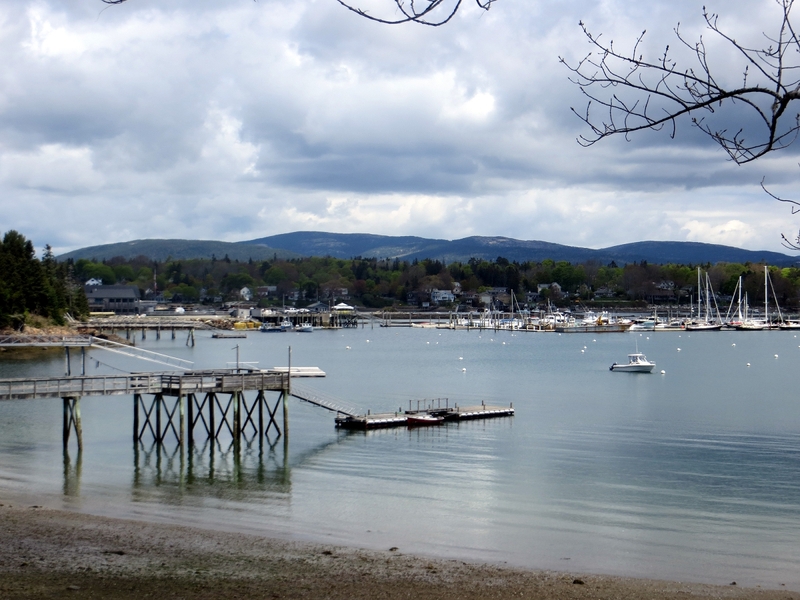 In real life, Little Tall was played by the town of Southwest Harbor on Mount Desert Island, easily accessible by bridge. I wonder if they watch this miniseries during every snowstorm. Horseshoe Bend (Page, Arizona): Every hotel lobby in Arizona has the same majestic photo of Horseshoe Bend in their lobby. 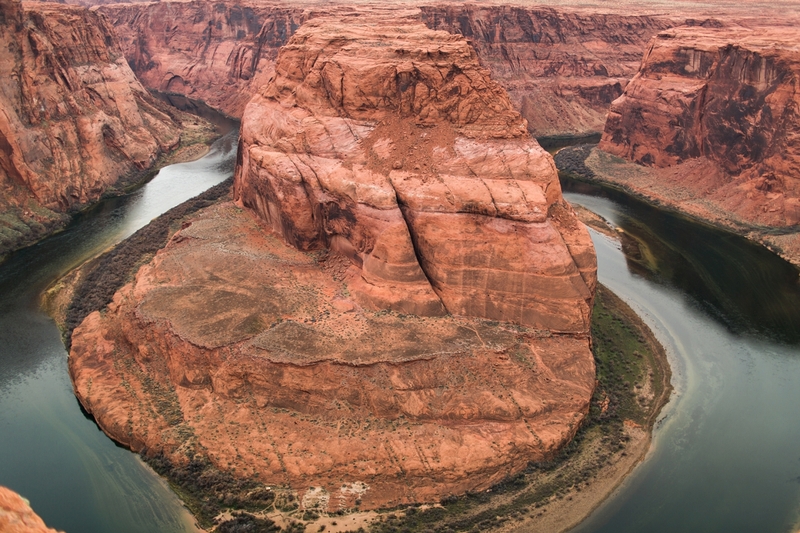 That’s because there’s only one vantage point to take it from, and all you have to do to get the photo yourself is to brave a little vertigo to stand on the unfenced edge of a 1,000-foot-tall gorge to view this U-turn in the Colorado River. 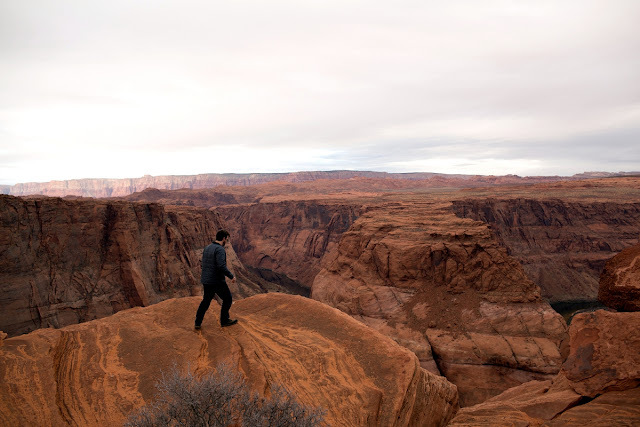 Or you could steal the photo from your hotel lobby. 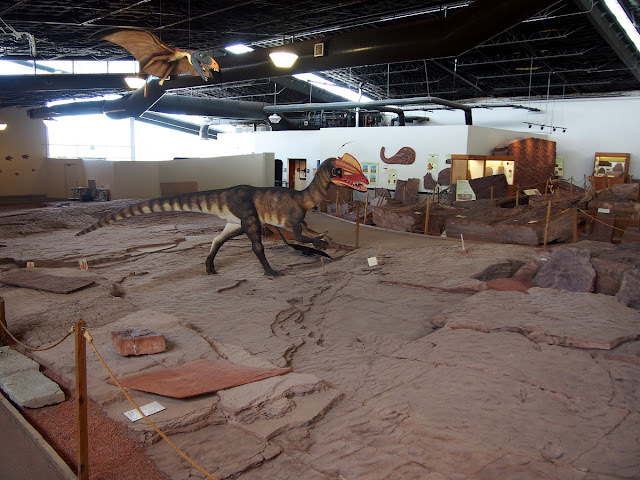 St. George Dinosaur Discovery Site (St. George, Utah): This is Utah’s first appearance on OTIS, and chances were always high that when it showed up, it would be for a dinosaur oddity. The St. George Dinosaur Discovery Site doesn’t look like much at first glance. It has the ambiance of an abandoned indoor mini-golf course, but once you realize what you’re looking at, it’s absolutely flooring. 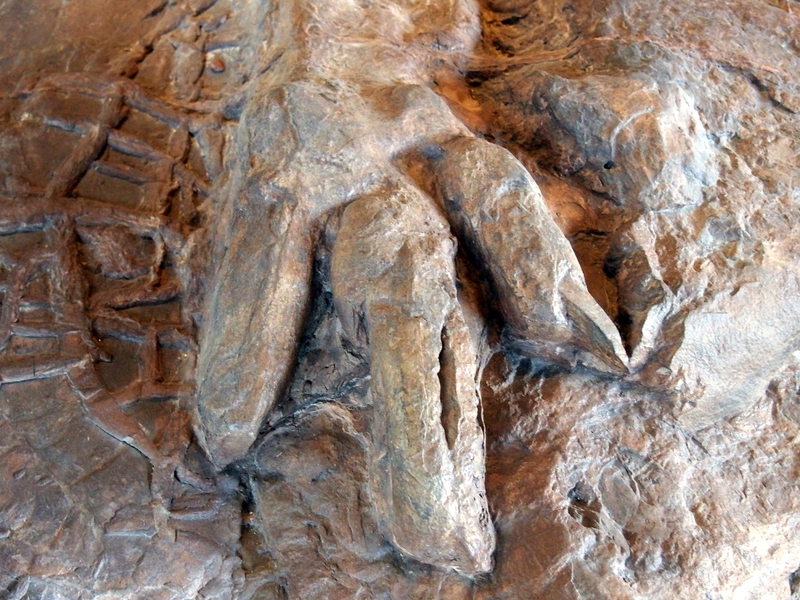 I’m talking way more than just fossilized tracks, although there are plenty of those. 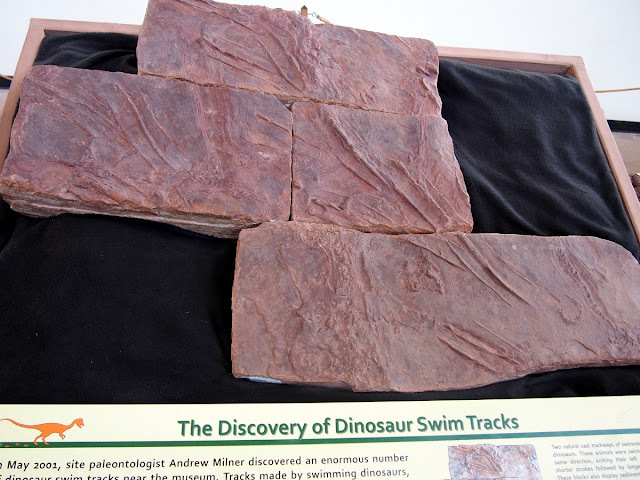 I’m talking early Jurassic fossils of dinosaur skin texture and tail drags and swimming prints (yup, prints made while the dinosaur was swimming), as well as naturally occurring cast prints (where a track was filled in and fossilizes into a puffy, convex version of the track), and all found during a construction project on that exact site that you’re standing on. 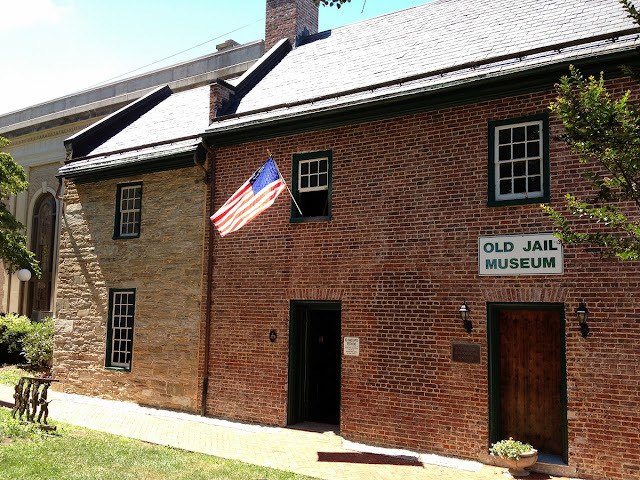 Old Faulkier County Jail (Warrenton, Virginia): Never skip out on small, local museums. There are always treasures inside. And this one Virginia museum about an hour west of D.C. is a trove, especially for those of us of a macabre bent. 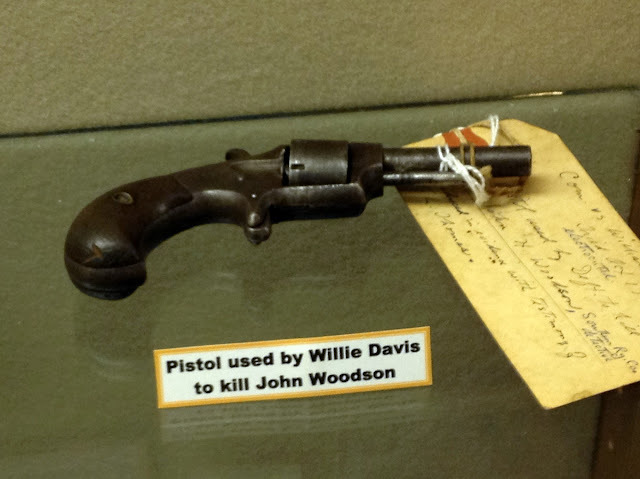 It’s set inside an early nineteenth century jail. 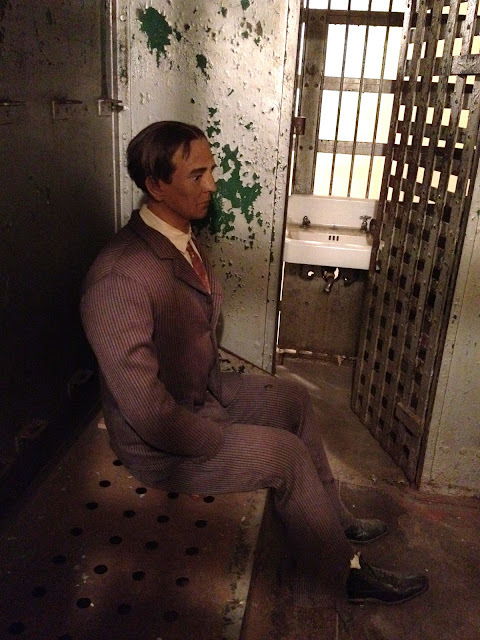 You can walk through the cells (watch out for the creepy mannequins), visit the execution yard, and even see murder weapons. 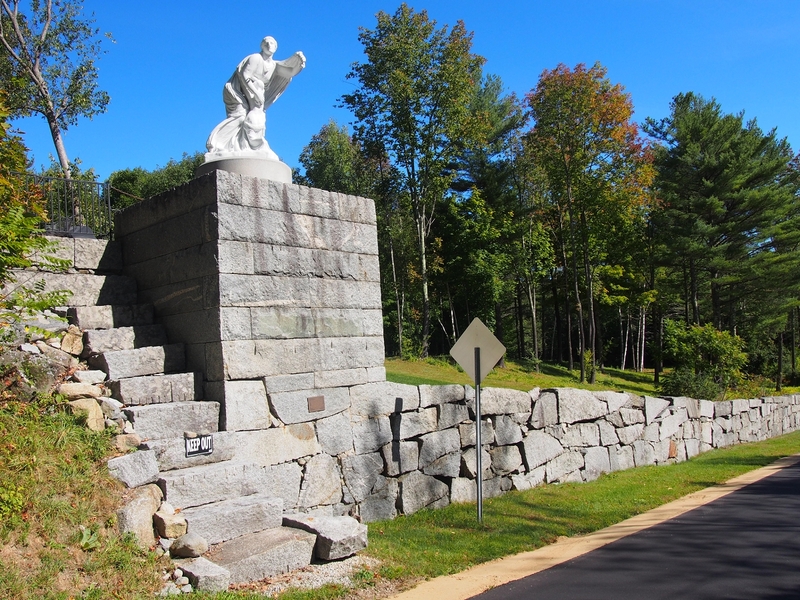 Great Wall of Sandwich (Sandwich, New Hampshire): This is a long wall, low wall with a zinc statue of a mythical Greek character Niobe atop it. The oddity comes with the story. It was erected in the late 1870s by a man who grew up in Sandwich named Isaac Adams. When he was 19, nobody would give him bus fare to Boston, but he moved to the city anyway, invented the steam-powered printing press, got filthy rich, moved back home, bought everybody’s homes and tore them down for his estate. The wall and statue were to remind his fellow Sandwich-people what jerks they were. The most accessible part parallels Little Pond Road. 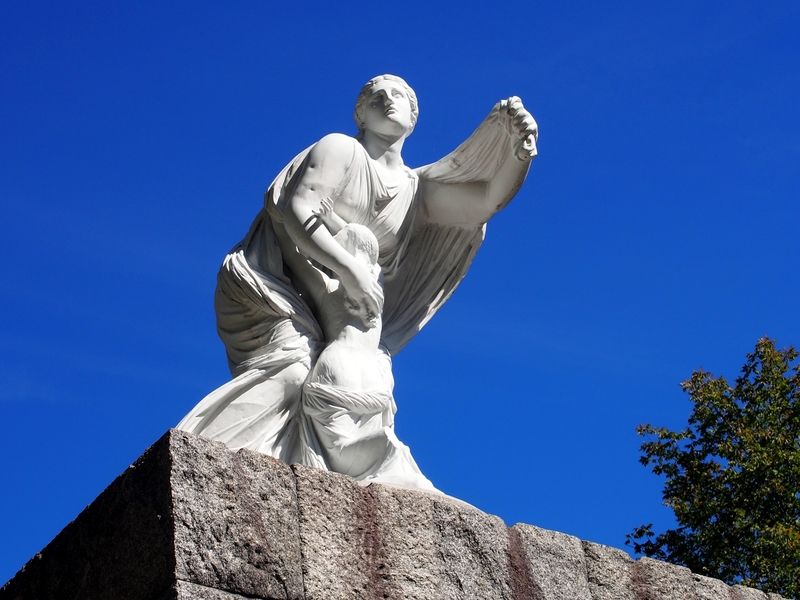 In 1941, the statue fell, smashed, and was lost. 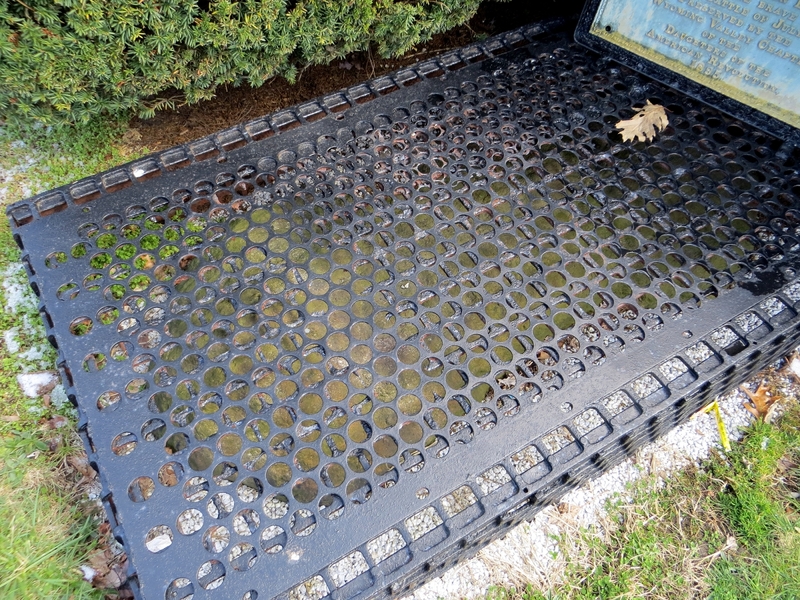 It wasn’t until this decade that the pieces were found (under a pile of manure in a horse barn), reassembled, and reinstalled to remind the Sandwich people what jerks they are. 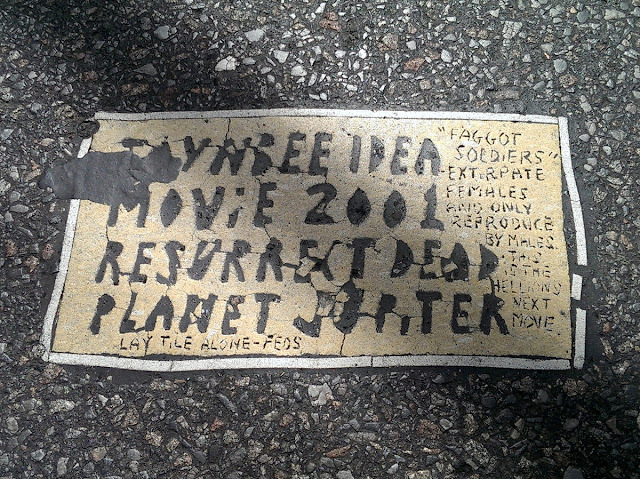 Toynbee Tile (Manhattan, New York): Okay, that line from the first paragraph about not wanting to read 1,000 words? It doesn’t apply to Toynbee Tiles. However, I kind of don’t want to tackle this 30-year-old mystery about strange tiles pressed into the asphalt of various cities that madly outline a vague conspiracy theory involving Jupiter and Ray Bradbury and 2001: A Space Oddity. It's too overwhelming. Besides, this documentary here is pretty much the last word on them. I also feel like I need to have found at least three in my life, and I’ve only found two, and didn’t take a photo of the first one. I caught the below one in New York when I was in town for the 2015 Edgar Awards. I don’t even remember what road it was. I just remember standing in the middle of a busy crosswalk like a madman trying feverishly to take in-focus pictures of it without anybody’s feet crossing the frame and before the traffic light changed.